How do you feel about your smile? Do you feel comfortable flashing your pearly-whites around your co-workers, friends, and family? Are you proud of the aesthetics of your teeth? If you are not content with the color and look of your teeth, then you are not alone. Discoloration in teeth can have a negative effect on self-esteem, but avoiding stains and dull shades is essentially unavoidable. Food and drinks stain teeth, and yellowing occurs naturally, as you age. Instead of heading to your local store to pick up over-the-counter whitening kits, get the professional teeth whitening treatment from Vanderbrook and Hoppe Dentistry, located in Dallas, TX. 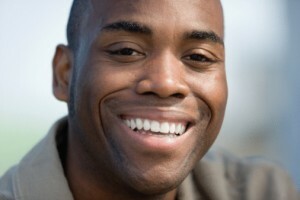 A smile, like a picture, is worth a thousand words, and we want to ensure that the words describing yours are positive. Our doctors, seasoned dentists with years of experience, and our team of handpicked expert practitioners are passionate about providing pristine, vibrant smiles for every patient that makes an appointment at our office. We stay current with the latest dental trends and our office is equipped with state-of-the-art technology, so we can ensure that you will receive effective treatment and have a comfortable experience. Avoid using store-bought whitening kits, as they are not very effective and frustrating to use. Our office provides two stellar whitening treatments, catered to the needs of the individual. The first treatment is in-office, and is applied by our team. After you arrive and take a seat in one of our examination chairs, we will apply professional-strength Opalescence teeth whitening. Opalescence reduces tooth sensitivity and strengthens enamel, along with increasing the white shine of your teeth. The in-office treatment only takes about an hour, and it provides stellar results. For those who cannot spare an hour in our office, we can give at-home whitening kits for patients. The kit contains dental trays, which you will fill will Opalescence and place around your teeth. Our doctors will provide instructions on how long to apply the treatment and how many times. The results are just as incredible as the in-office treatment and you will have a beautiful smile you will be proud to show off to the world. Don’t you think it’s time to get the smile of your dreams? Allow Vanderbrook and Hoppe Dentistry to apply its effective teeth whitening treatment and ensure your smile has a celebrity-like shine. Contact our office today and schedule your appointment with our wonderful, friendly staff. We happily provide our services to those who reside in Dallas, TX, Lakewood, East Dallas, Lake Highlands, Richardson, Garland, and the neighboring communities.